Love the colors of Fall? 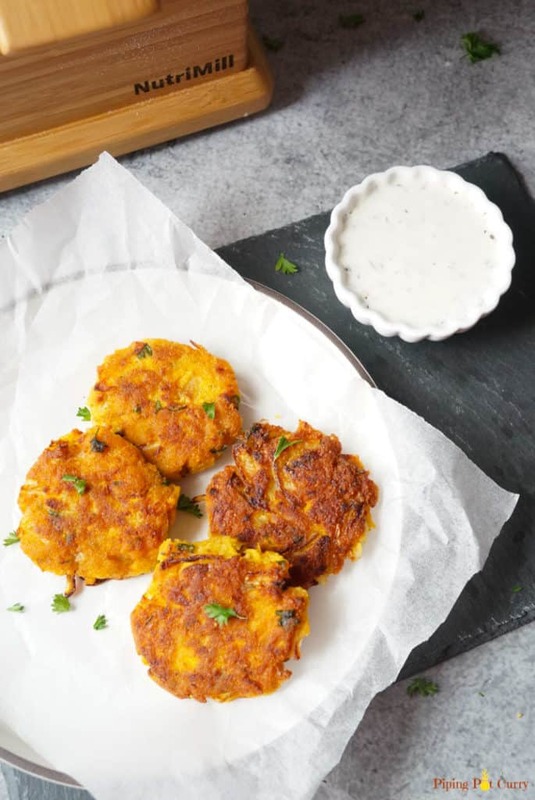 Let’s get some Fall on the table with these super delicious Chickpea Squash Fritters. 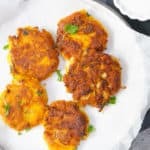 These vegan & gluten free Chickpea Squash Fritters are so easy to make and take less than 30 minutes. 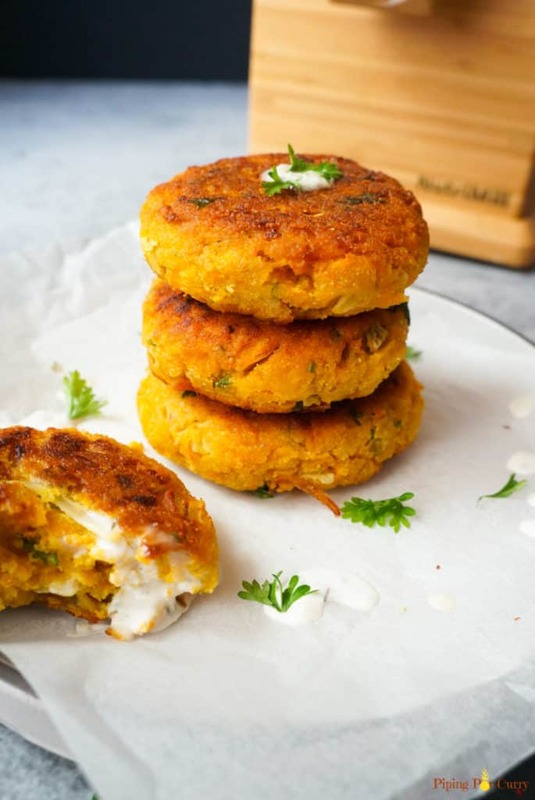 With freshly milled Chickpea flour using the Nutrimill Harvest, and lots of butternut squash, this is a great way to add veggies to your meal! Even though is it not officially fall season yet, I am seeing pumpkin and winter squash popping up in stores. The nearby pumpkin patch for the kids is in the making. Hence when Bosch sent me their new Nutrimill Harvest, I was so excited to make something healthy. Yes, I used freshly milled chickpea flour to make these Chickpea Squash Fritters. Surprise your family or guests with these fritters. There is no way they would guess that there is squash in this. Or better yet, sneak in some veggies for the kids. They love this crunchy stuff! 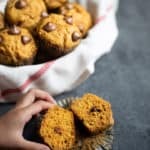 Here is another healthy Fall recipe for your kids – Whole Wheat Pumpkin Oatmeal Muffins. 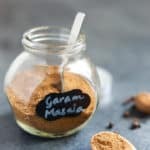 You are not going to believe how easy it is to mill flour at home. Whether it is wheat, oats, rice, millet or chickpeas, Nutrimill can mill it all in just a few minutes. This is like a dream come true. Where I grew up in India, many people milled fresh flour or there would be a local store where you take the whole grains and get them milled right in front of you. However this changed over the years and convenience took over. Let’s get back to some healthy habits along with the convenience of easily milling fresh flour at home. Let me present to you this Nutrill Harvest machine. I saw a demo of Nutrimill at a conference early this year, and since then I have been wanting to get my hands on it. 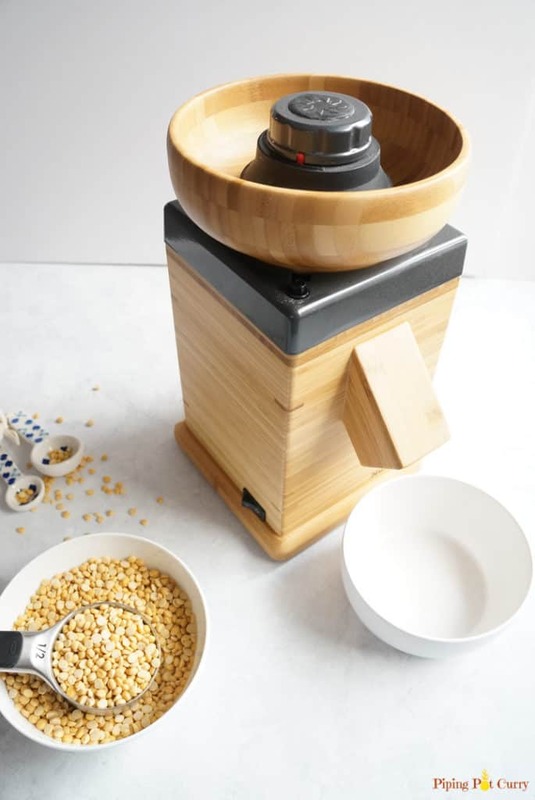 It is a super sleek, gorgeous looking bamboo exterior with stones to grind the flour to the right texture you want (you can easily set the fineness for the flour). Just add the grains on the top, and fresh flour will be milled and collected in a bowl. How easy is that? Let’s get the ingredients ready. The chickpea flour is milled. Peel and shred the butternut squash. I agree this is the hardest part of making these squash fritters, but trust me, it is totally worth it. You can also use a food processor to shred the squash. Chop the onions and get the spices. I like to add onions as they get crispy and add a little crunch to the fritters. Now in a large bowl mix the ingredients. You can save some parsley for garnish. Use your hands or a fork to combine the mixture. The consistency should be such that you can form balls with it. Don’t add any water when mixing. The chickpea flour will mix well with the moisture in the squash and onions. 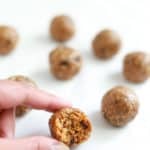 Form small balls from the mixture and flatten them. Place in hot oil in a pan to fry. Cook on one side for 3-4 minutes. Flip and cook for another 2-3 minutes until the fritter is lightly browned. Depending on how large the pan is, it will take 3-4 batches to fry all the fritters. Don’t they look gorgeous. I want to take a bite right now! 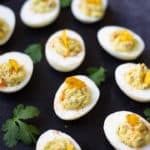 Serve them with a healthy dip on the side. I served with a yogurt dip with some garlic powder and thyme. Want to make a full meal? Make larger burger patty with the same mixture. Or add some cooked quinoa to the mixture to make Vegan Quinoa Squash Burgers. Why mill your own flour at home? I have used store bought chickpea flour to make fritters before. However the taste was over the top with the freshly milled flour. If you like to bake or use flours in your vegan or gluten free diet, Nutrimill is a wonderful addition to your kitchen. Freshly milled flour is more healthy with all the nutrients intact. Commercially sold flours often remove the germ which can turn rancid when stored for a longer period of time. 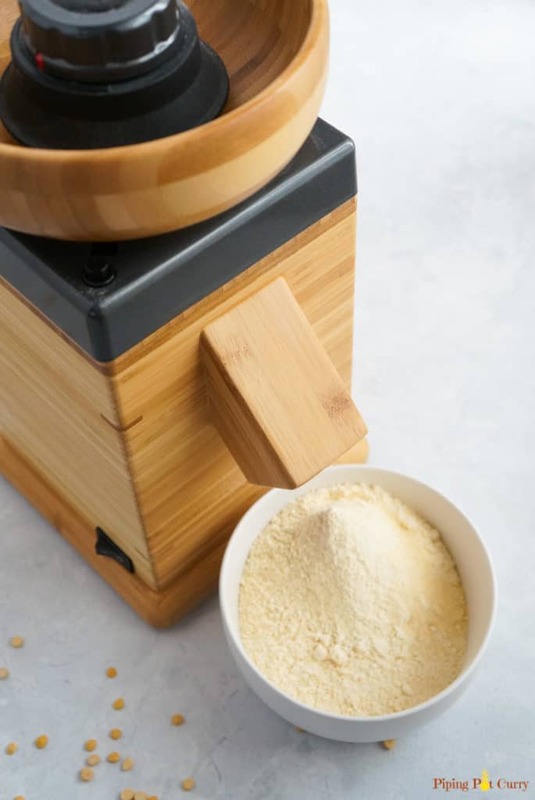 This Nutrimill looks gorgeous on the counter, and with their awesome milling technology, you can have freshly milled flour for your cooking or baking in less than 5 minutes. If I have convinced you to buy a Nutrimill, here is my affiliate link – Nutrimill Harvest Everyday Essentials Package. 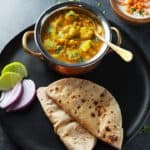 Use the code PIPINGPOTCURRY-NH to get a $28.98 $48.98 discount. If you want to buy on Amazon, here is the link – Nutrimill Harvest. 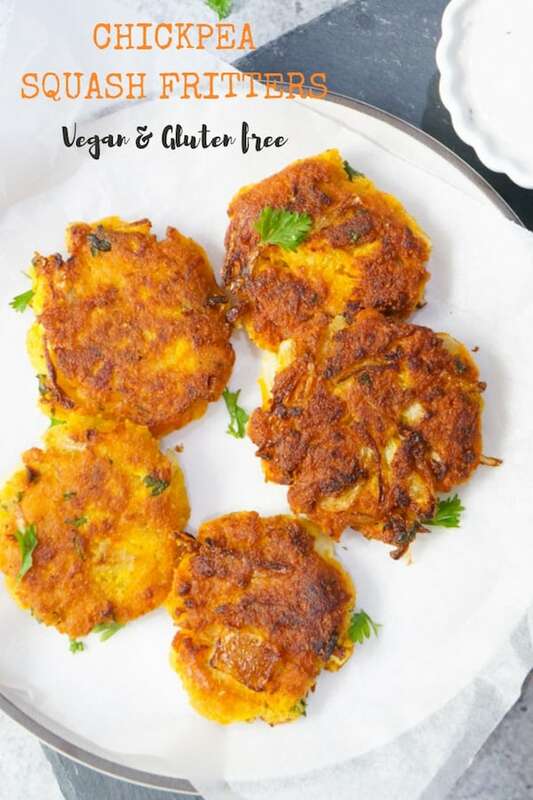 Here is another vegan appetizer where you can use this freshly milled chickpea flour – Potato Fritter Sliders. 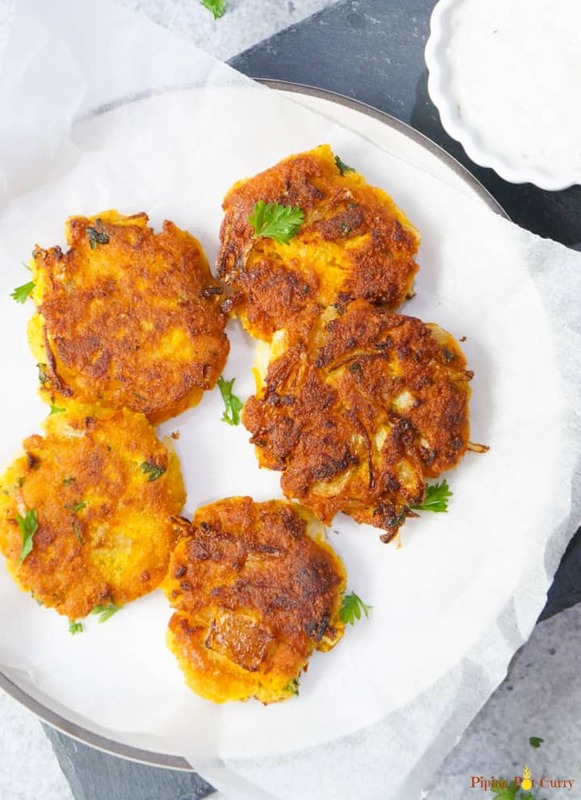 Super delicious and crunchy Chickpea Squash Fritters. 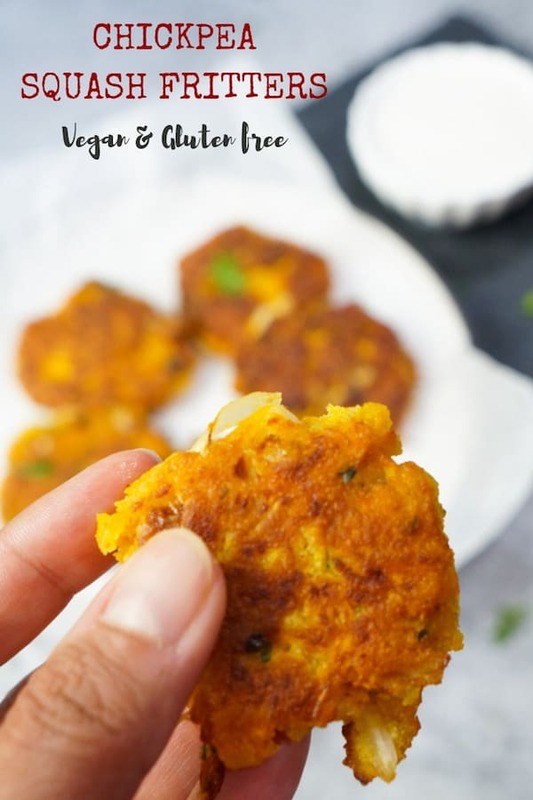 These vegan & gluten free Chickpea Squash Fritters are so easy and take less than 30 minutes to make! In a large bowl, combine the shredded butternut squash, onions, chickpea flour, spices, lemon juice and parsley. Stir with a fork (or your hands) until the mixture is combined well. Liberally coat a large pan with oil and let it heat. Form the squash mixture into small balls and flatten it out. Then place gently in the pan. Cook on one side for 3-4 minutes. Flip and cook for another 2-3 minutes until the fritter is lightly browned. It will take 3-4 batches to fry all the fritters. Remove from oil with a spatula and transfer the fritters on a plate lined with paper towels. Garnish with chopped parsley and serve with a dip of choice. 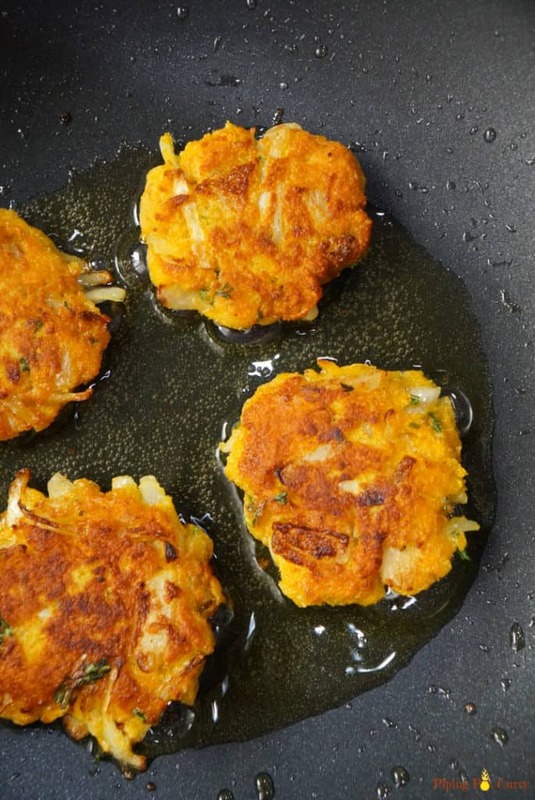 You can use butternut squash or kabocha pumpkin to make these fritters. 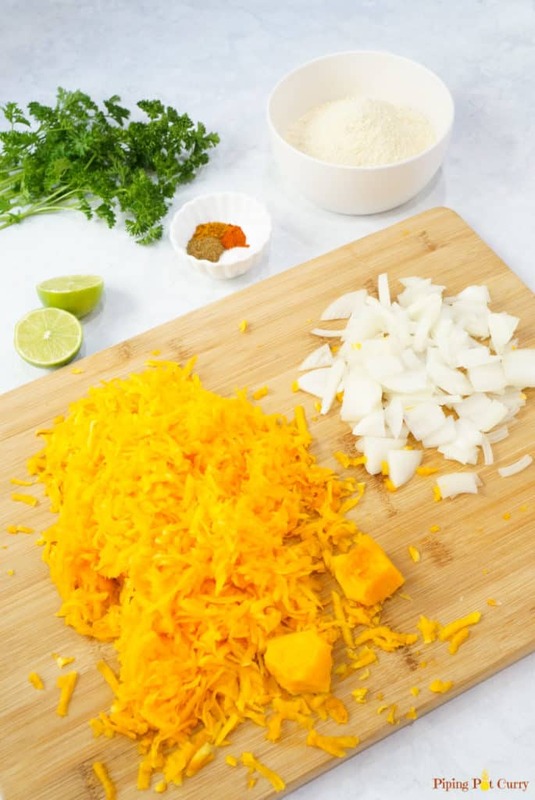 Butternut squash can be peeled and then shredded on either the large/medium hole of a box grater or in a food processor. Make it a slider or burger: Make larger size patty. You can add some cooked quinoa to the mixture if you like. I highly recommend a moist sauce on the burger with this patty, so it is not dry. Note: Nutrition values do not include oil used for frying. They are my best estimates. If you rely on them for your diet, use your preferred nutrition calculator. Hi Meeta. How can I make this in the air fryer? Can I place the fritters inside without any oil? Hey Stephanie – I think these will work well in the air fryer. Just spray/brush some oil, and air fry at 330F initially, then increasing to higher temperature to brown them. The nutrimill looks interesting. Have you tried making wheat flour for rotis with it? If yes could you share what kind of wheat you used and how it turned out? Thanks Priya. It is actually a wonderful machine. I am going to buy whole wheat berries at Whole Foods today to try roti and cake with it. Will keep you posted with the results. Thanks Meeta. Looking forward to know more about your experience.